Anna Maria Island and Long Boat Key have some of the most outstanding restaurants in the area. Everythiing from top rated Zagats fine dining to great out of the way burgers and "beach fare" and everythiing in between. Our islands are only a short drive to all the major amusement parks. Let us know ahead of time and we can help arrange your breakfast wtih Mickey and Cinderella or swiming with dolphins. What ever your dream, we`re here to make it a reality. The Gulf Coast is famous for its sport fishing and we have some of the best charters and Captains in the area. If you`re interested in either surf or charter fishing ask us. We know some of the best kept secrets on the island. Sure to send you home with a life time filled with memories! If you`d like to "hit the links" during your stay, let us help you with tee times and any arrangements you might need. We have some of the most beautiful and challenging courses on the Gulf Coast along with some of the top insturctors in the country. You`ll be glad you brought your clubs. Whether you you want to spend your days relaxing and looking for shells or "on the go" filled with lots of fun away from the beach, you`ll never run out of things to do. Here are some of our favorites. From fun activities to fill your day to making your life easier......we have several rental companies to complete your stay. Our Gulf Coast is rich with museums and aquariums. We have some of the country`s renowned marine aquariums and research facilities as well as outstancing museums. So many hidden treasures, you`ll be glad you asked. From flip flops to fine diamonds.......and even some things you wern`t looing for. 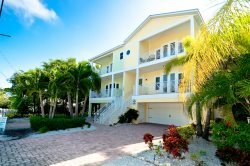 It`s all at your finger tips here on Anna Maria Island and Long Boat Key. Long Boat Key and Anna Maria Island are rich in the arts and theater. If you`re in the mood for a play or musical we have several venues to choose from. You can start at one end of the island and gallery hop your way by trolley to the other end finishing with dinner and a play. Something to surprise you at every turn! There are 4 Airports just a short commute to your Dream Vacation. All are within 50 minutes of the most beautiful Islands in the Country. Come experience our little slice of Paradise on Anna Maria Island and Long Boat Key. Anna Maria Island and Long Boat Key are represented by many different denominations. If you don`t find what you`re looking for, please give us a call and we will be happy to assist you. If you would like to attend Temple during your stay, our area has several to choose from. Anna Maria Island and Long Boat Key are rich in community organizations. If you would like to get involved while you`re here there are many opportunities to choose from. We have a more extensive list in the office. Just ask as we`re always here to help. If you need medical attention during your stay we have several facitlities to suit your needs. In the event of an emergency please call 911. After a fun day at the beach or an after dinner treat some of the best ice cream can be found on the island. We have several to choose from and there`s always one close to you! After a long day at the beach how about a relaxing massage? Or even a massage ON the beach as you listen to the waves lapping against the sand.....we have many spas and salons to cater to your every desire. If you are looking for something in particular please let us know and we will make every attempt to find it for you. Whether traveling by horseback or limo it`s all at your fingertips. We can help you arrange that special occasion, have you picked up at the airport or traverse the island by trolley. If you need to get somewhere, we can suggest the route.